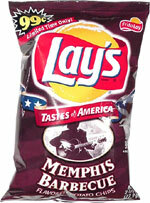 Taste test: These are pretty good barbecue chips. They're fairly sweet and have a nice flavor. There's no heat to them, but they are tasty. Smell test: Nice sweet barbecue smell. 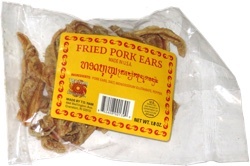 This snack was discovered by Jeremy in Brighton, Massachusetts. Review published .